To be completed in May. 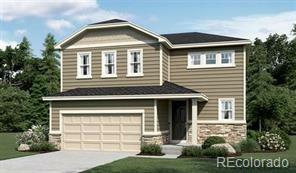 This beautiful home features 3 bedrooms, 3 baths, and a study w/ French doors. Five piece master bath w/ poured pan shower and a coffered ceiling in master bedroom. Also includes 2nd floor laundry, A/C, back covered patio, front yard landscaping, full 9' basement w/ capped drains, 3-car garage w/ opener, with gas appliances. and chefs kitchen.